Located in Charlotte’s first LEED®-built luxury hotel, The Ritz-Carlton, Charlotte, BLT Steak Charlotte integrates our signature style with southern hospitality. The menu showcases our famous popovers along with generous sides, specially selected steaks, and fresh seafood. Weekly blackboard specials also highlight southern flavors and ingredients. The Modern American Steakhouse’s beautiful dining room and bustling bar and lounge provide the true BLT experience with a Southern charm.<br><br>The menu, organized by category, and complemented with corresponding savory sauces, guides diners to steakhouse bliss. 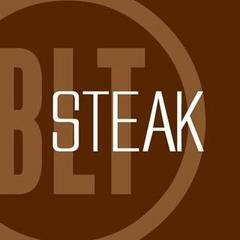 BLT Steak offers Certified Black Angus or USDA Prime steaks, lamb, chicken, and fresh fish including Dover Sole and Spiced Tuna with barbecue sauce.<br><br>Our award winning wine list features both New and Old World wines and a “short list” that showcases a smaller, bistro-style selection for convenience and ease.<br><br><br><br>If you do not see the position you are interested in listed below, please feel free to send us a resume to: careers@e2hospitality.com – we will do our best to reach out to you if there is a match!